the fashion virtual world, and join millions of fashionistas (and fashionistos) personalizing and... Created by Woozworld inc. This fashion virtual world is a pioneer in multiplayer cross-platform virtual worlds, bringing trendy avatars together from web and mobile platforms. Create your girly doll or character with swag and start writing your on-the-road to fame story.
? WEEKLY new clothes, weekly competitions, weekly contests, weekly quizzes and weekly quests to keep you wanting more!
? DRESS & PERSONALIZE your avatar however you like. Treat your Woozen like a doll and dress up! Choose new hairstyles, gowns, stylish outfits and the latest fashions.
? 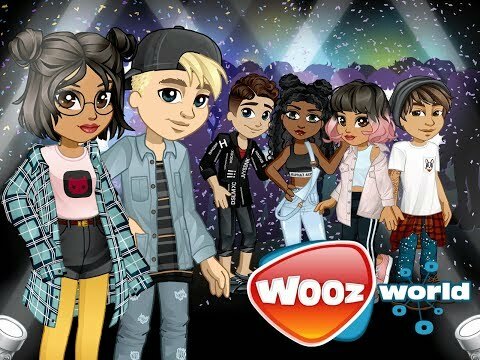 HAVE FUN at live events with our celebrities, your friends, and the real stars, celebrities and musicians that visit Woozworld. Artists including deadmau5, Simple Plan, Greyson Chance, Jasmine Villegas, Xzibit and others have made appearances in Woozworld.
? DISCOVER millions of rooms, new weekly fashion and style your avatar with thousands of unique fashion designer clothes, hairstyles and more!
? EXPLORE your fashion taste and write your character’s virtual story. Woozworld was added by Czlon in Mar 2018 and the latest update was made in Mar 2018. The list of alternatives was updated Mar 2018 There is a history of all activites on Woozworld in our Activity Log. It's possible to update the information on Woozworld or report it as discontinued, duplicated or spam. Maybe you want to be the first to submit a comment about Woozworld? Just click the button up to your right!